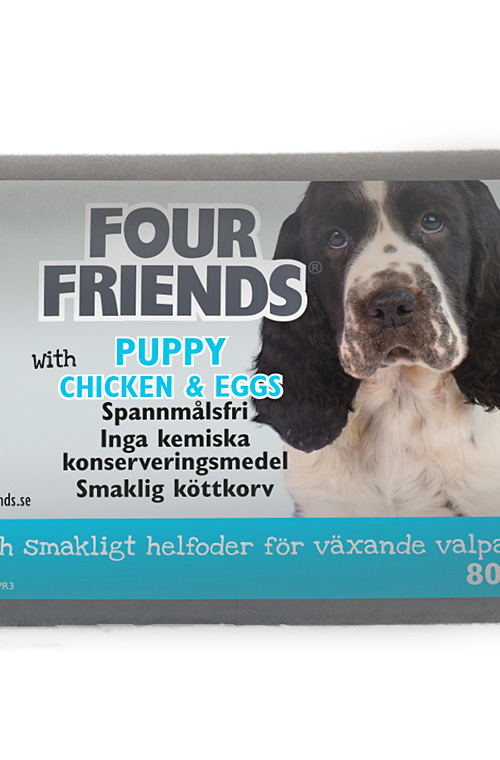 FourFriends Moist Puppy Food is grain and gluten free. This moist food is of the highest quality with chicken and eggs. Unopened can be stored at room temperature. Once opened can be stored for 3 to 4 days in fridge. Contains no chemical preservatives. 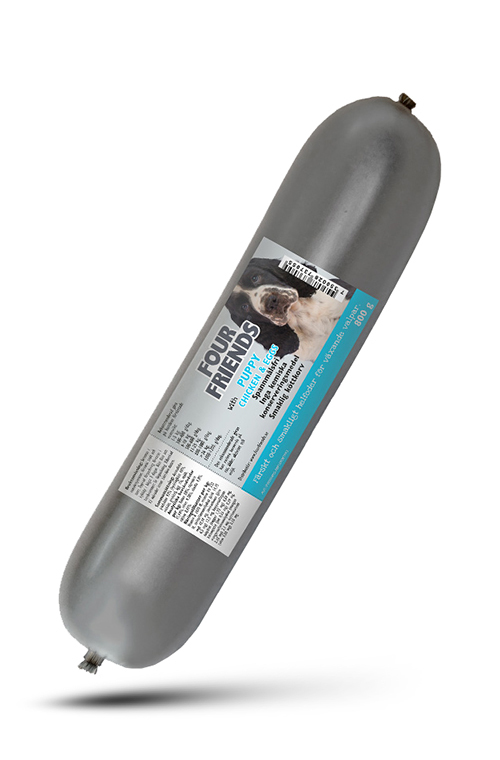 It can be used as a complete or as a topping to dry food. The packaging is biodegradable. With 95% Meat (of which chicken 40%, beef, pork), eggs 1%, milk.